It took five hours of walking, driving, battery life and all our resources, but finally the Resistance took back the RIT campus. 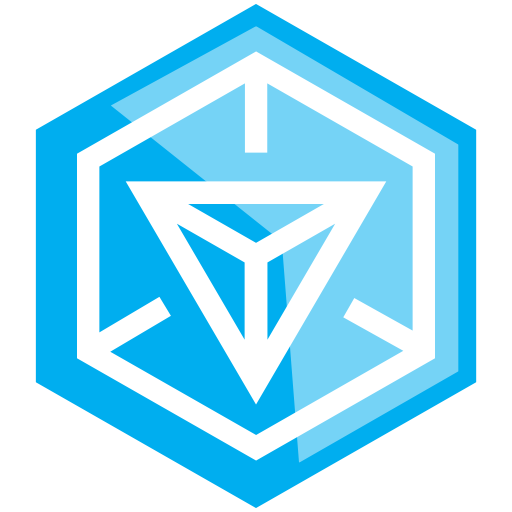 The Resistance is one of the factions in Ingress, a game developed by Google internal startup Niantic Labs. It can best be described as a real-time augmented reality multiplayer online pervasive game. Its gameplay revolves around your geographical location, with an angled birds-eye perspective resembling Google maps. The gameplay follows a search and destroy format featuring two factions vying for control of portals. By taking pictures of landmarks, art and buildings, players, or agents, build these portals. Agents can then add defenses, level up and most importantly, link portals together to create triangular fields, representing land they control. Players can also hack portals, gaining items such as weapons, mods, keys, etc. that allow them to capture, attack and defend other portals. The main point of the game falls to the global accumulation of mind units. Both factions must establish as many fields as they can to cover the earth. Anyone within the field is then categorized as a mind unit, which adds up the number of people currently controlled by a faction. Using Google+ and Reddit, players have organized online, creating communities to coordinate attacks, establish fields and aid others within the area. It was a pleasant surprise to see older members helping newer members, with both factions conversing over public channels. But the game does more than just connect people; it gets players to connect with new places. The only way to link portals is to be within a certain range of it. This encourages agents to travel and explore constantly. There have already been fields created which span 407 miles wide. The story of the game is that Exotic Matter (XM) has begun to leak onto Earth in the form of, portals found at specific locations. This phenomenon is linked to an unknown force or race called Shapers. After an event known as Epiphany Night, the Niantic Corporation’s (a play on the game’s developer) scanner app that was meant to help them locate portals was leaked to the public. The Enlightened, one of the two factions, fight with the firm belief that shapers can uplift humanity to the next stage of evolution through XM. The other faction, the Resistance, believe the shapers to have ulterior motives, and see these portals as a means of possible invasion. On campus the battle is ongoing. At the time of writing, the campus was freed of the Enlightened’s control and fellow resistance members have established their own fields and portals. However the Enlightened haven’t taken kindly to this, and to this day the campus remains a battlefield. The game is recommended to anyone who wants to feel like they are a part of a global cause as a persistent war rages in one’s pocket, or for anyone just looking for something to do on their walk to class.